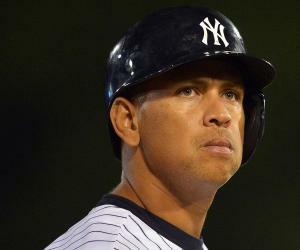 Alex Rodriguez is an American baseball third baseman for the New York Yankees of Major League Baseball. Check out this biography to get detailed information on his childhood, life and timeline. Alexander Emmanuel "Alex" Rodriguez, famously known as "A-Rod", is an American professional baseball infielder for the New York Yankees of Major League Baseball. Before playing for Yankees, he used to play for Seattle Mariners and Texas Rangers. He was involved with baseball from a very young age and is considered as one of the best baseball players that American baseball has ever seen. With his record breaking 500 home runs, Rodriguez has put his name at the top of all-time leaders in home runs list. He has taken himself and his team to places that Major League Baseball was not prepared to deal with, becoming a powerful phenomenon in baseball. His career is full of awards, record breaking achievements and accolades but is also clouded with controversies over using performance enhancing drugs, getting involved with underground poker games, cocaine consumption, etc. He has always been the favorite topic for tabloid gossip because of his illicit sexual affairs with madams, prostitutes and exotic dancers. Recently, he has been banned from the games for 2013 and 2014 for his prominent involvement in the Biogenesis Scandal. Nonetheless, Rodriguez's aspiration to outdo greatness and define his time is yet to take his baseball career to greater heights. 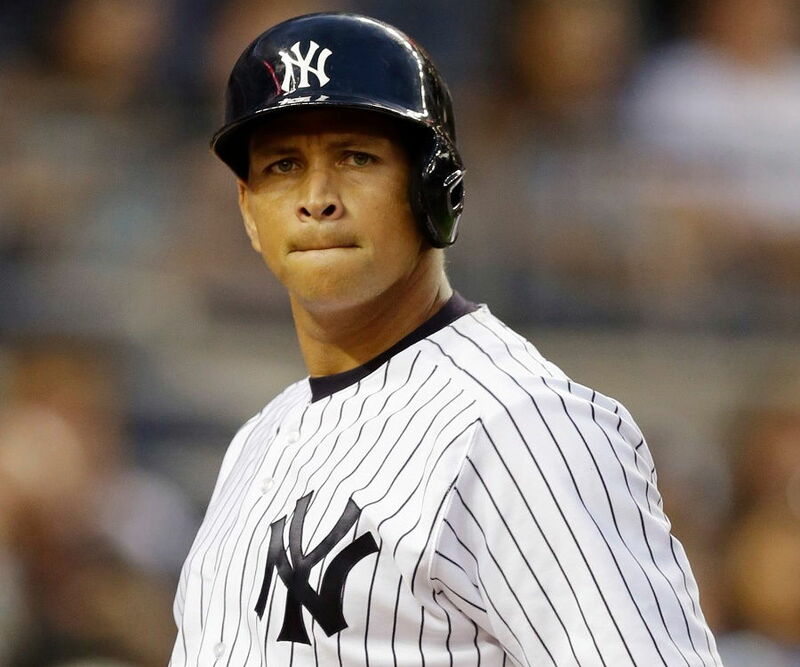 Alex Rodriguez was born in New York City to Victor Rodriguez and Lourdes Navarro. The family owned a shoe store and lived behind that store. They move to Miami and settled there when he was around 4 years old. Rodriguez loved playing baseball and when his father left the family to live in New York, baseball became his sole solace. He attended the Christopher Columbus High School and Westminster Christian School. At the age of 17, he turned down University of Miami's baseball scholarship and instead signed with the Seattle Mariners and became their number one overall pick of the amateur draft in 1993. He signed it for 3 years at 1.6 million US dollars. Rodriguez made his debut appearance with Seattle Mariners at the age of 18 in 1994, playing shortstop in a game against the Red Sox at Fenway and in the next year, he had hit his first home run against Kansas City at Kingdome. In 1995, he was assigned to Seattle's Triple-A club and was made the starting shortstop of the team. 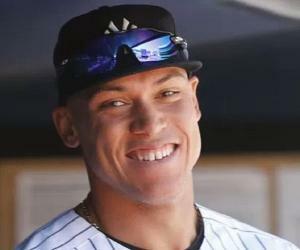 He made it to the cover of Sports Illustrated, headline saying "Short Story: Jeter and Rodriguez head up the finest group of shortsports since WWII". He became the Sports News and Associated Press's selection for the Major League Player of the Year in 1997 and almost became the Youngest Most Valuable Player in the baseball history in that year but lost the title to Juan Gonzalez. From 1998-2000, Rodriguez was selected as Players Choice AL Player of the Year. 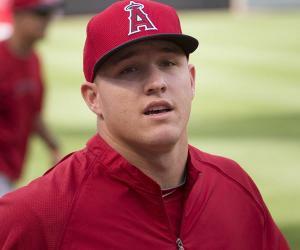 He also won his 2nd Silver Slugger Award and became the Major League Player of the Year by Baseball America. He had an average of .301, 42 home runs and 111 RBI. 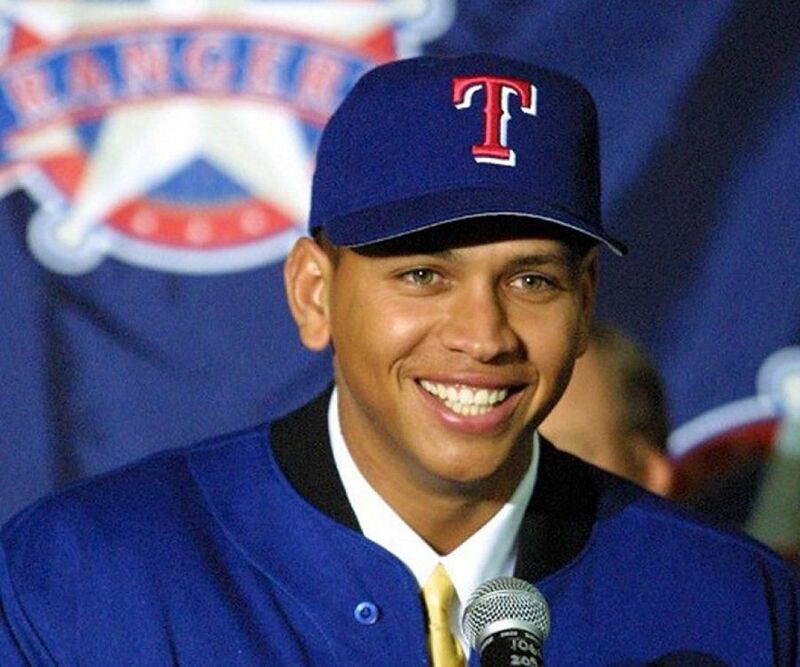 He signed with Texas Rangers in 2001, it was worth 252 million US dollars, the most lucrative sports contract ever in the history. Rangers pounded White Sox 16-6, and Rodriguez made his 200th and 201st home runs. In 2003, he became the youngest player to hit 300 homers and won Babe Ruth Home Run Award. Texas wanted to move him and his contract out and made him available for the trade. He tested positive for performance enhancing steroids. Rodriguez was traded to the New York Yankees in 2004 and switched to third base. He had hit .286 with 36 home runs, 106 runs batted in, 112 runs scored and 28 stolen bases in the first season. During Game 6 of the ALCS with Boston in 2004, Rodriguez had hit dribbler to Arroyo and slapped ball out of his glove. He was called for interference and ruled out. Yankees lost the game. In 2005, Rodriguez had hit .321, leading the American League with 124 runs and 48 HR runs and became the first Yankee to win the American League home run. Also, he was the 5th player to win an MVP award. Rodriguez was an All-Star in 2006, and was 4th in the league in RBIs 121 and 8th in home runs. He had at least 35 home runs, 100 runs and 100 RBIs in 9 consecutive seasons. In 2007, Rodriguez had hit his 500th career home run. He was the first and only player in MLB history to ever hit 500 home runs for 3 different teams. He won the Players Choice Award for Outstanding AL Player. Also, he became a free agent and decided not to be with the Yankees but received criticism for this decision from his fans. 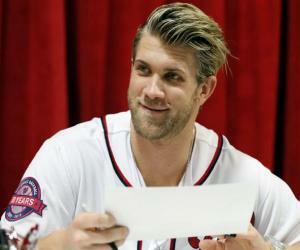 He ultimately signed a 10 year contract for 275 million US dollars with the Yankees. 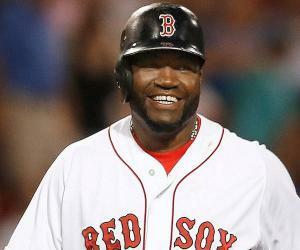 From 2008-2009, Rodriguez hit two home runs in the 6th inning that drove in seven runs, setting an American League record for most RBIs and gave him his 12th consecutive season of reaching 30 home runs and 100 RBIs. He became the 7th player in MLB history to hit 600 home runs and become the youngest player to do so at 35 years age in 2010. He also recorded his 100th RBI. In 2011, Rodriguez went for arthroscopic surgery on his knee to repair a torn meniscus and was placed on the disabled list. He also faced allegations of being involved in the underground poker games, in which cocaine was explicitly used. Rodriguez suffered an injury during Yankees versus Seattle in 2012. It was a non-displaced fracture; therefore he was on the disabled list again. But before getting injured, he became the 5th player to record 2,000 career strikeouts in MLB history. In 2013, he went through a hip surgery. He is also suspected to be a significant body involved in the Biogenesis baseball scandal. In addition to this, he has been inferred for having used performance enhancing drugs. Also, Rodriguez made his 2013 debut with the Yankees in August and on the same day MLB announced he would be banned from the remainder of 2013 season and the entire 2014 season for his role in the Biogenesis scandal. Rodriguez is a 12-time AL All-Star winner and 10-time AL Silver Slugger Award winner. He had twice been Seattle Mariners Player of the Year and also a 3-time Babe Ruth Home Run Award winner. He has been named Seattle Mariners Minor League Player of the Year, Midwest League All-Star, The Sporting News Player of the Year, Hitter of the Year, Pepsi Clutch Performer of the Year and This Year in Baseball Awards: Player of the Year. Rodriguez was married to Cynthia Scrutis, a psychology graduate, from 2002-2008. They both have two daughters together: Natasha and Ella. Cynthia took divorce from him on the grounds of marital misconduct, extra-marital affairs and emotional abandonment. Rodriguez is said to have been involved in illicit sexual affairs while he was married. His wife Cynthia accused him of having an affair with the pop queen Madonna, whom he called his 'soul mate' in an interview. He is now dating WWE Diva Torrie Wilson. He has donated 3.9 million US dollars to the University of Miami to remake its baseball stadium, which will be called "Alex Rodriguez Park at Mark Light Field". This baseball great owns a Mercedes-Benz dealership in Texas.